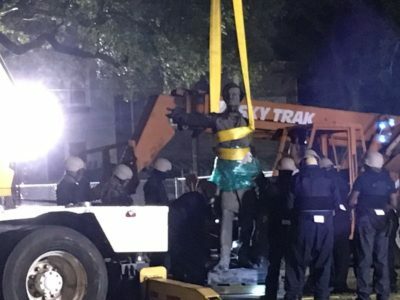 Heated discussions are taking place as confederate monuments are being dismantled across the American South. The Coalition recently spoke with Louis Nelson, Professor of Architectural History and the Associate Dean in the School of Architecture at the University of Virginia, a member of the Coalition, about the history of these monuments and the role they have in civic discourse. The opinions expressed are his own. 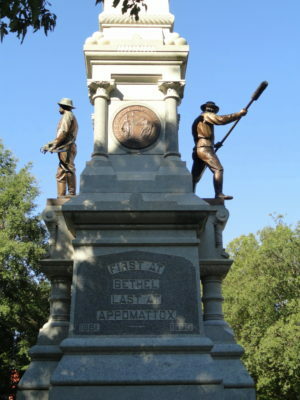 The national debate surrounding confederate monuments is often presented in very narrow terms – as a battle between those who want them to stay and those who want them to go. Is there another approach? that they are. 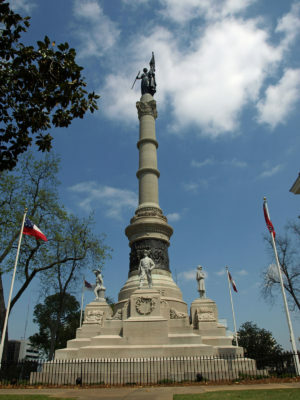 What often gets lost in this discussion is the fact that these are not Civil War monuments; these are Jim Crow monuments, largely a product of the 1910s, not the late 1860s. We need to understand and interpret them in this context. They were erected amid the apex of lynching in the American South. They were erected as localized instantiations of Plessy vs. Ferguson, the so-called “separate but equal” law, which upheld state racial segregation for public facilities and which triggered thousands of local-level actions against minorities throughout the country. Speaking of local, you are based in Charlottesville, Virginia, where white nationalists recently wielded torches at a protest over a confederate statue. Can you summarize the local conversations going on in the town? Charlottesville is by and large a very progressive town, so I think that the majority of those protesting against the statue’s removal are not city residents and they certainly do not represent a majority view. That said, there is no clear opinion on this matter. Many think they should go; others feel that the topic distracts from more urgent concerns such as the discrimination minorities face in schools today. Still, the vast majority agree they are a blot on the landscape – in the way that segregated theaters and pharmacies once were. They are a gash in our civic fabric and they need to be either drastically contextualized or relocated. In this way, we need to distance these statues from the figures they so often represent. The conversation should not be about Robert E. Lee’s virtues or failures, but about the social and political environment of the 1910s that saw fit to erect monuments in the first place. A rich civil language needs to abandon such simplified portraits and frame these as the product of local actions that reified larger racist systems. They need to become catalysts for conversations as objects in a museum might. How can these monuments encourage such dialogue? The landscape around them needs to be curated thoughtfully, with this historical framework in mind. Such statues cannot stand alone in the middle of a square with azaleas. I have argued that we need to transform these open spaces into open-air museums, where we can learn about the simultaneous histories of lynching, Confederate monuments and Jim Crow policies. These are powerful objects so they will need powerful recontextualization. Many argue that this is not possible, but I have great faith in architects, landscape architects, and public historians to effect profound change. I’m also an academic, so I can’t help but suggest some reading. What Can and Can’t Be Said: Race, Uplift and Monument Building in the Contemporary South by Dell Upton is a great read. We need to educate ourselves about this history. It should not be erased.